Don’t have a big enough table? It then makes great kindling for the fire or BBQ (if untreated of course!) or scour Pinterest for great ideas like an upright garden. Go Eco in Frankton or Xtreme Zero Waste in Raglan often have rolls of it for free. 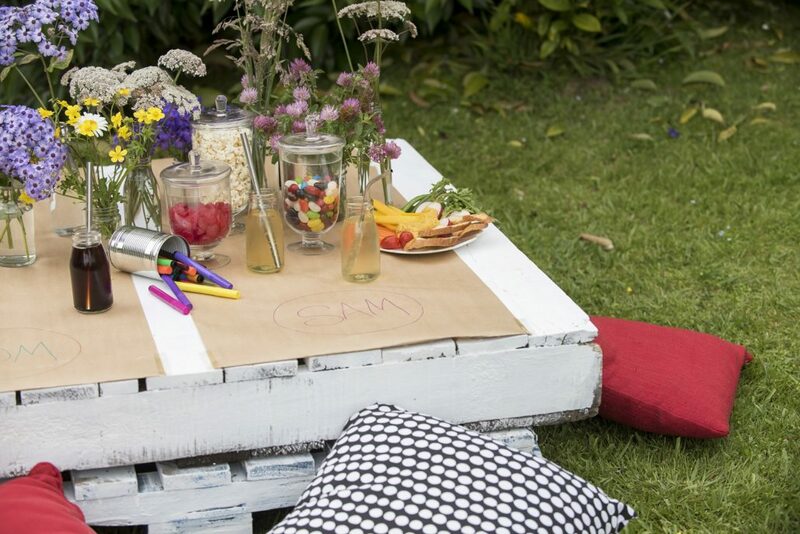 It’s perfect for kids’ parties as they can decorate their spot as part of the festivities. Alternatively, you can lay the food directly on it, eliminating the need for disposable plates or extra dishes to wash.
Options to dress up the table include net curtains or vintage table cloths from an op shop, or a good old sheet. Nature is the ultimate decorator, so look around outside for ideas. Have a day at the beach and collect shells, driftwood or wildflowers for a lovely coastal theme. Plants make long-lasting decorations. Pot herbs in old tins, mint and geranium even act as natural insect repellents. Baby violas or other edible flowers can also double up as salad garnish. 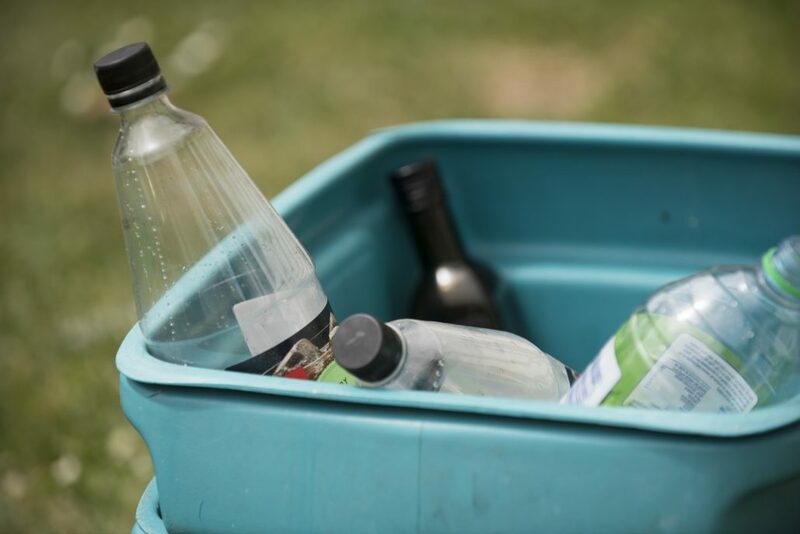 Make you own fizz with a Soda Stream machine and reduce the number of plastic bottles you’ll have to recycle. Don’t have one? Ask around. You’ll be surprised how many people have one lurking in their cupboard. Ditch the plastic straws for reusable or paper ones. Overripe berries and stone fruit you may be tempted to throw out make a great base for punch or cocktails or syrups. Dips are always popular. Reduce the amount of packaging you throw away by making your own. One tin of chickpeas (or better still 1‒2 cups of dry beans soaked and then cooked) will make the equivalent of 2‒3 small pottles of store-bought hummus. Just add fresh garlic and a squeeze of lemon. Think about the packaging things come in, i.e. olives in a jar are better than from a plastic pottle. Serve this with fresh seasonal vegetables and homemade crackers for a healthy and no waste snack. Or turn stale bread into crostini by brushing with oil and baking. Need to bring a gift? Wrap it in a beautiful tea towel or scarf. It will look amazing and instead of creating waste from the wrapper you have given an extra, super useful gift. Let the kids literally go wild and help decorate their party table. Sweetpea Parties for the drinks dispenser and milk bottles.